So last week I picked up and Xbox One in a whim. The console is pretty cool and honestly the Kinect works much better than I thought it would. 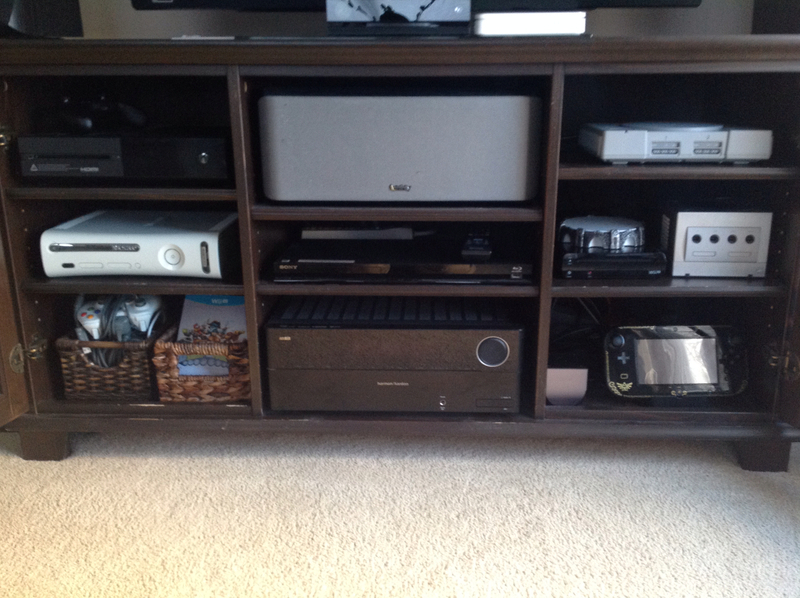 While plugging everything in I had to relocate my existing 360 to the other side of the entertainment center. My wife had the suggestion that I pull all of those consoles I had in a tub in the basement out and set them up as well. It is awesome having a wife who is as nerdy as me.